I think this is one of the most sinister-looking cats I've ever seen. 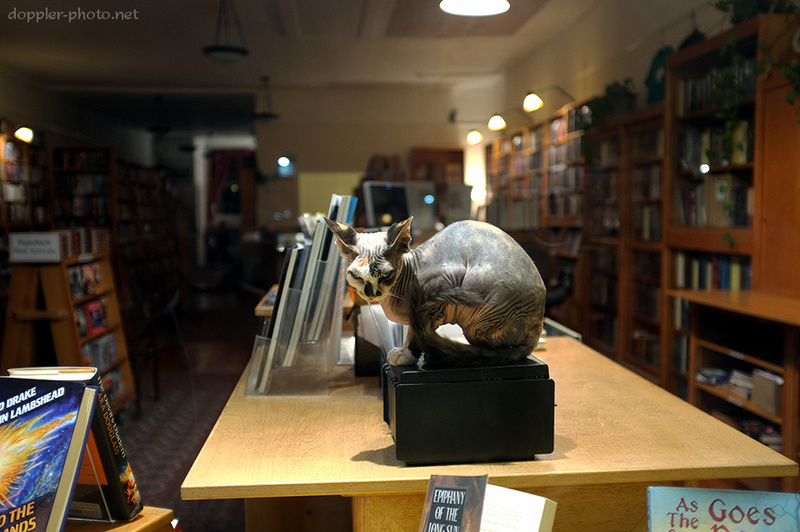 The bookstore was closed, and that cat was mostly still, except to turn its head to look at me as I took a couple photos. Oh my. That particular breed of cat has a tendency to look like they're plotting something to begin with, but that particular one is terrifying.